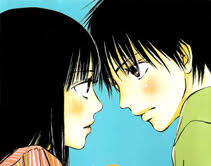 Chichiri’s Essential Manga Series for Shojo Fans | Manga Reviews ~ Ramblings of A Fob. So yeah this is pretty much self-explanatory. Below are the list of Manga series that I highly recommend to Shojo lovers out there. This is merely my opinion but I do think that most of the series contained herein are rather Essential to read if you are a Shojo Fanatic. So without further ado lets start. I’ll arrange the series in Alphabetical order. Please keep in mind this are my list of Manga.